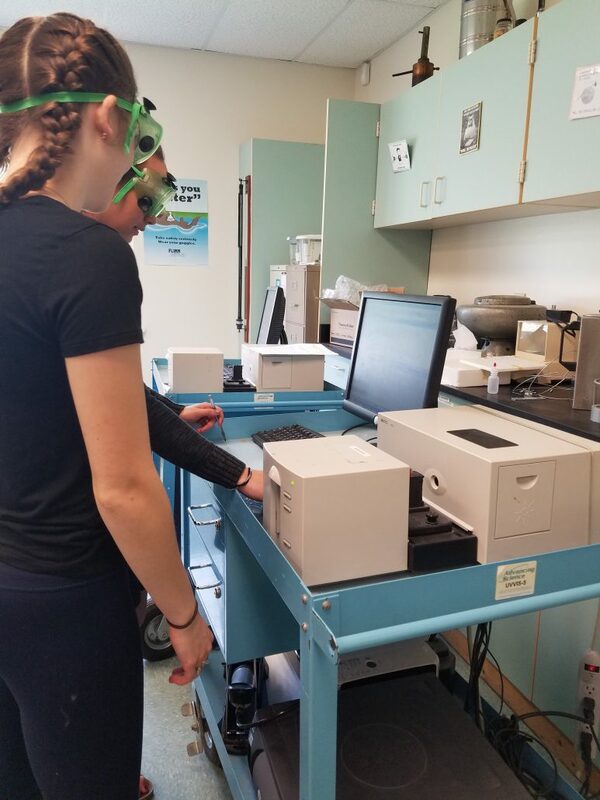 Recently, Coe-Brown Northwood Academy students had the opportunity to use two UV-Vis Spectrometers on loan from the University of New Hampshire’s Joan and James Leitzel Center for Mathematics, Science and Engineering Education Advancing Science Program through the collaboration of Ms. Tiffany Hatstat and UNH professor Dr. Stephen Hale. Using this instrumentation, Ms. Hatstat’s and Mr. Gregory Samuel’s Chemistry students were able to perform two experiments. 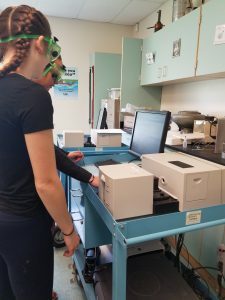 The first experiment was a forensic spectroscopic analysis of simulated crime scene samples to determine the hypothetical cause of death for student written murder mysteries. In the second experiment, students synthesized aspirin samples and spectroscopically determined the purity of their aspirin products. As a result of having access to this type of instrumentation, students were able to experience what is like to be a scientist in the real world and how science does not always have predicted outcomes.